Picnic Set made ​​with fiberglass. 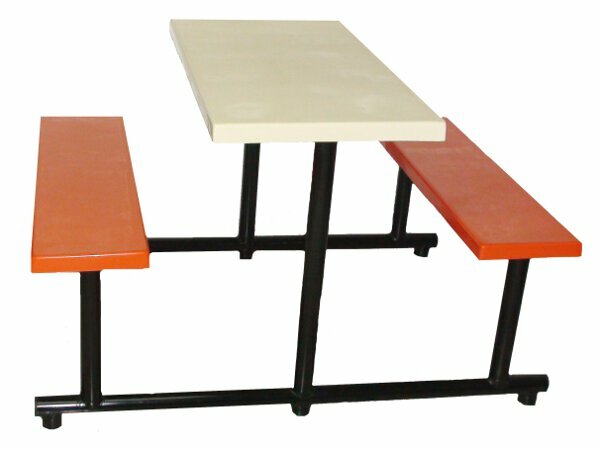 Ideal for open and closed, since it is very durable and easy to clean is also ideal for corporate and school cafeterias. Available modules for 2 to 4 people. Table 0.90 cm x 0.50 cm. With two integrated seats at the table. Dimensions: 1.24 cm Length x 0.50 cm Width. Industrial Base square pipe of 1 1/2 cm. painted with black enamel. 0.90 cm x 0.50 cm table with two benches built into the table 0.90 cm Width x 1.25 cm Length. Table 1.10 cm x 0.60 cm integrated with two seats at the table with measures 1.10 cm x 1.30 cm.